There are Linux distributions out there for pretty much every taste and purpose, but every once in a while I'll come across one that seems especially intriguing. 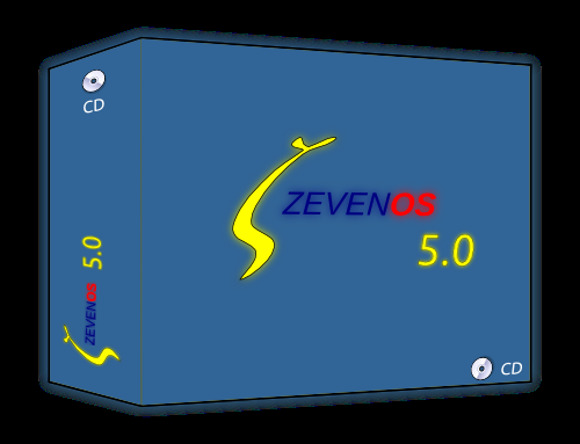 That happened this week with the release of ZevenOS 5.0, a Linux distro that's based on the lightweight Xubuntu but adds a multimedia focus. For those who don't remember it, BeOS was a multimedia-centric operating system from Be Inc. that was discontinued several years ago. Open source Haiku has in many ways picked up where BeOS left off, but in the meantime ZevenOS borrows elements of BeOS's look and feel for its own multimedia-focused operating system. Included among several media-oriented apps preinstalled in the new OS are OpenShot 1.4.3, which features YouTube upload support, as well as Audacity 2.0 for sound. Also included are PulseAudio 2.1, Inkscape 0.48, GIMP 2.8, and the DeaDBeeF 0.5.6 and MPlayer2 media players. Xubuntu 12.10 forms the basis for the software, whose old deskbar tool has now been replaced by the Xfce4-panel deskbar mode, which adds extensible plugin support and more flexibility in desktop configuration. Kernel 3.5, X.org 7.7, Firefox 17, Abiword 2.9.2, and Claws-Mail 3.8.1 round out the list of other key additions. The video below shows ZevenOS 5.0 in action. Xfce and Xubuntu are both nice lightweight choices in a world increasingly bogged down by bulky software, and they're especially useful if you have older hardware. Now, for those with a multimedia focus, ZevenOS provides a tailored spin on the concept that's still compatible with the Ubuntu repositories. You can give this software a try by downloading the 700MB .iso file for free from the ZevenOS website.